There is no doubting that Istanbul boasts treasures which every civilized person ought to see at least once: the Topkapi Palace, the Blue Mosque, the 14th century murals in the church of St Saviour in Chora and, of course, the gigantic architectural achievement which is the Hagia Sophia. Now neither a church nor a mosque (it has, of course, been both in its history), this brooding masterpiece is part of the heritage of both the East and the West. It is, in some ways, an unsettling experience to walk under its vast dome and ponder the events it has witnessed over the centuries. And therefore one needs to be able to return to a really excellent hotel to rest and think. It is good, then, that I am able to recommend to you exactly that. Modern, sophisticated and luxurious, the Park Hyatt Istanbul is a model of what a city hotel should be. 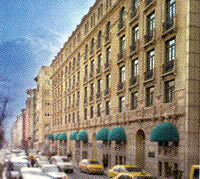 In the residential and shopping district of Sisli, and situated in a quiet side street – and thus shielded from the sounds of the call to prayer which dominate so many parts of the town – the Park Hyatt envelopes you in its elegant ambiance as soon as you walk through its understated main entrance. 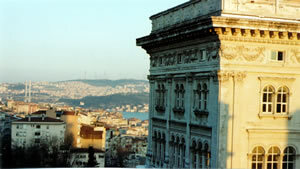 It occupies an Art Déco building from the 1920s, known as the Maçka Palas. The presence within the building of the emporia of both Armani and Gucci gives a clue about the affluence of the area. I liked at once the sense of space in the large lobby. Its straight lines and clever use of high windows and natural stone made me sense immediately that I was in an establishment with standards. The impression was reinforced even before I had arrived at my room on the seventh floor. I have written many times about the importance of hotel corridors. 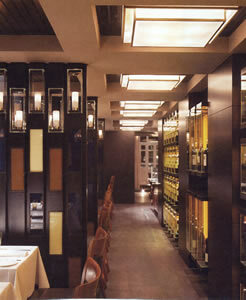 Here they were splendid: discreetly lit, immaculately maintained and full of visual interest. 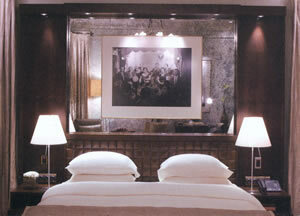 And the same was true of room 707 – a Deluxe King and therefore 420 euros a night for two, breakfast extra. The facilities for my ablutions were divided into four sections. First I met the wash basins, surrounded by much fitted woodwork. There were two of them, and one of them supplied cold spa water. The other, with the hot water tap, had no provision for a plug. (This is a feature of some modern designs. I do not care for it. But it was easily overcome by the use of some carefully placed tissue paper.) Thereafter came the afore-mentioned bath tub, a separate loo and a large walk-in shower. The supplies of grand toiletries, by Blasé Mautin, were plentiful throughout. Over breakfast in the Lounge on the ground floor of the hotel, a most cheering and unexpected encounter occurred. I was reading my morning newspaper when I heard the words, “I would recognize those red socks anywhere.” It was the dapper figure of the excellent Antony Doucet, whom I last encountered at the Park Hyatt in Paris and who is now the Guest Services Manager here. 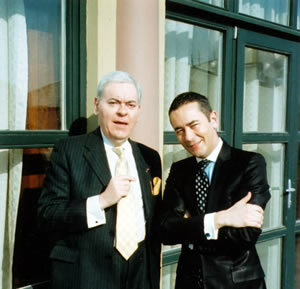 He whisked me up to the top floor to show me one of the grandest suites, and on its balcony we had a picture taken. I now present it to you. 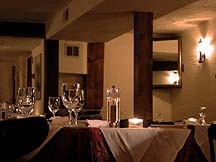 For dinner I went to the hotel dining room, a place of beige tablecloths, discreet lighting and banquettes covered with dark brown leather. It is called The Prime. The name is relevant, for this restaurant specializes in seafood and prime cuts of meat, which are cooked in a lava stone grill. The Chef de Cuisine, Jamie Hagan, is from Ireland and, on the evidence of my meal, is skilled with the produce of both the sea and the land. I must mention the service, which was exemplary (and included the replacement of my napkin when I left the table for a moment). For this I thank the Restaurant Manager, Fehmi Kuran, Murat Tuncel (who rejoices in the title ‘Assistant Outlet Manager’) and Levent, my waiter. 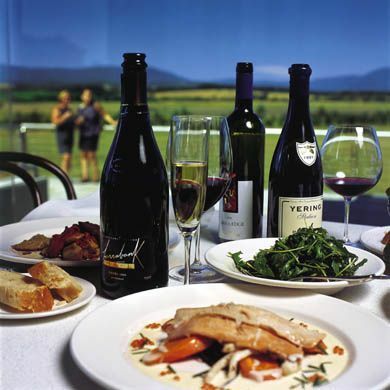 The wine list has 111 offerings, which are French and Italian, as well as Turkish. Although you are in a wine-producing country, you must be prepared for the fact that the level of tax on each bottle is very, very high. This is, of course, reflected in the prices to be found in restaurant wine lists. Here, the prices range from 88 lira for a Turkish rosé to 8,300 lira for 1995 Margaux. These other French bottles caught my eye: Dom Pérignon 2000 (1,485 lira), Yquem 1996 (4,200 lira) and Cos d’Estournel 1996 (2,350 lira). I drank a local cabernet sauvignon, which had clearly been made in a thoroughly modern way and which – having been decanted – was tannic and full of ripe damsons (Sarafin, 2001 – 132 lira). I left Istanbul thinking that I would like to return. 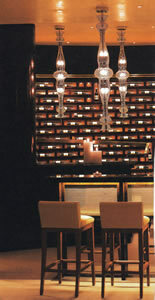 And one reason for that was the excellence of the Park Hyatt Istanbul. I commend it to you. Tesvikye, Bronz Sokak No. 4, Sisli, Istanbu 34367, Turkey.